Maltese officials will be invited to take part in an inspection of the MV Arctic Sea when it arrives in Novorossiisk, Russian Foreign Minister Sergei Lavrov said today. He denied that any Russian anti-aircraft missiles bound for Iran had been found on the ship, contradicting reports in The Sunday Times of London. Nothing suspcious had been found on the ship, he said, but a more through search would be made when the Maltese-registered vessel arrived at the Russian port, and Maltese officials, as representatives of the flag state, would be invited to take part. 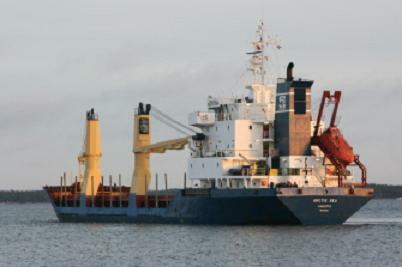 The cargo ship is thought to have been hijacked near Sweden before being found off the Cape Verde Islands. The newspaper reported at the weekend that the Arctic Sea had been carrying a batch of S-300 missiles, as conspiracy theories swirl over the ship's mysterious disappearance and reappearance. "Regarding the S-300s on board the Arctic Sea, this is absolutely untrue," Mr Lavrov told reporters, when asked if the ship was secretly carrying the advanced Russian-made missiles to Iran. The seizure of the ship and its Russian crew in one of Europe's busiest shipping lanes, the huge international effort to recover it and the detention of its crewmen after they returned to Russia have prompted speculation that it held a secret cargo. Officially the ship was carrying a load of timber worth 1.16 million euros from Finland to Algeria, but speculation has raged that it was carrying weapons or even nuclear materials. Russian officials said nothing suspicious was found aboard the ship when it was recovered near the Cape Verde archipelago, but have vowed a more thorough inspection when it arrives in Russia's port of Novorossiisk. Lavrov said representatives of Malta, the flag government of the Arctic Sea, would be invited to take part in the inspection. "Everything will be done transparently. I hope everyone will be convinced that the rumours you are referring to are absolutely groundless," Lavrov said in response to the reporter's question. The Sunday Times of London, citing Russian and Israeli sources, reported that Israel's Mossad intelligence service had learned the ship was carrying S-300s to Iran and worked with Moscow to stop the shipment. According to the Sunday Times report, Israel learned that the ship had been loaded with weapons in Russia's Baltic Sea port of Kaliningrad by former military officers with links to criminal groups. The newspaper said that Mossad, acting with the Moscow government's backing, may have set up the hijacking in a bid to stop the shipment without causing Russia embarrassment. Israeli President Shimon Peres travelled to Russia and held talks with his Russian counterpart Dmitry Medvedev on August 18, the day after Russia announced it had recaptured the Arctic Sea from pirates. Following the talks, Peres said he had secured a promise from Medvedev that Russia would review its decision to sell sophisticated S-300 anti-aircraft missiles to Iran. Russia reportedly agreed to sell Iran S-300s several years ago, but Western countries and Israel fiercely opposed the deal as the missiles would greatly enhance Tehran's ability to protect against an air strike.